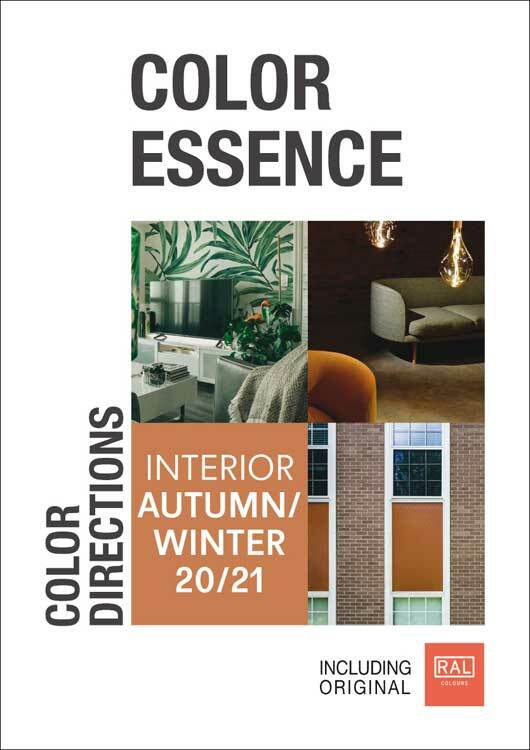 24 months ahead of the season, these colour cards contain important basic information concerning the colour moods, and therefore deliver the key for your early and individual colour concepts. Four colour themes are described in each issue, illustrated by original RAL Design Colour stripes as well as by inspiring collages and brief but concise comments (English). 48 hour service for further order of individually selected RAL Design Colours in A4 format pages for your design use, specifications and production confirmations at RAL DESIGN A4.